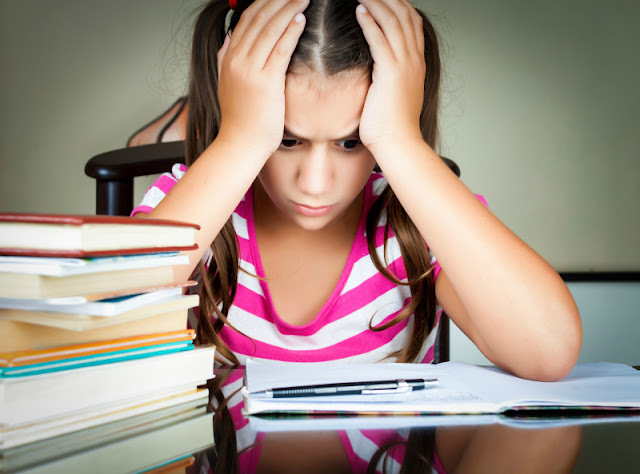 What kind of engineering projects did you do with your kids? Such fun ideas! I love engineering projects for kids. I wish someone had done these things with me when I was a kid. The projects could still teach me a thing or two! My eyes are crossing at all the names to scroll through. We need to do some engineering stuff this summer. Batman has a couple of fun kits that we need to play around with and see what we can do with them. I love that these ideas use found-around-the-house stuff. Love that these use around-the-house stuff to build with. These are all great! I really want to step up having engineering lessons in my classroom next year. This is a great round-up! So many suggestions for incorporating STEM into everyday play! Nice job! I love the ice bridge. Such a fun idea. WOW ! So many cool ideas! Thanks for co-hosting at After School! Thank you for this amazing contest. The blogs involved are worth following, including yours! These look like super-fun idea! These projects are great, I added it to my kids PINTEREST wall. 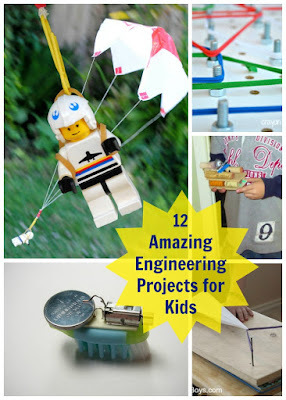 These are great projects, I pinned it to my kid Pinterest wall. Modelling junks is a great idea to recycle things! These look so fun! I'm looking for ideas to keep my boy busy during the summer ~ I think he's going to love these! Cool ideas for projects for a kid. I like the catapult project, that looks like it would be fun to do. 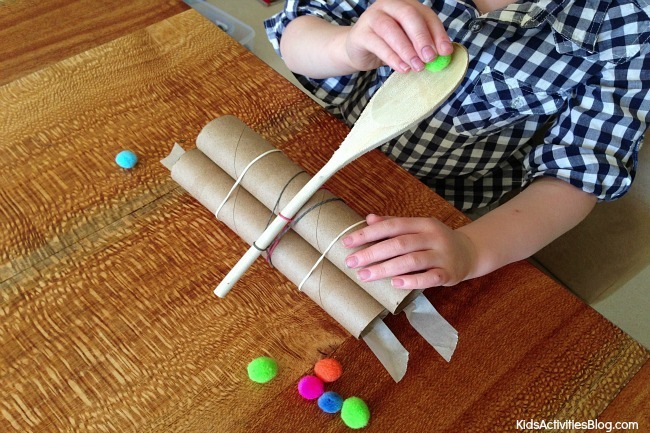 These are some great engineering projects that I can do with my grandkids. Thanks. I absolutely love these ideas. I think they will inspire kids and build their self-confidence. When I was little we built a go-cart. It was a lot of fun too, and these projects look fun. All of these are such great learning activities. I love the ice architecture. Thanks for sharing. Awesome learning activities! Cant wait to try some! That balloon car looks like fantastic fun! I really want to try the ice cube arch. If I showed all of these to my son, I am certain that the catapult would be the first project he would want to get into. Great ideas!! 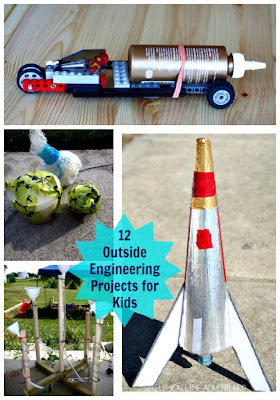 These are great ideas to get kids interested in engineering! My son would love to create these! I especially like the toy parachute. How cute! 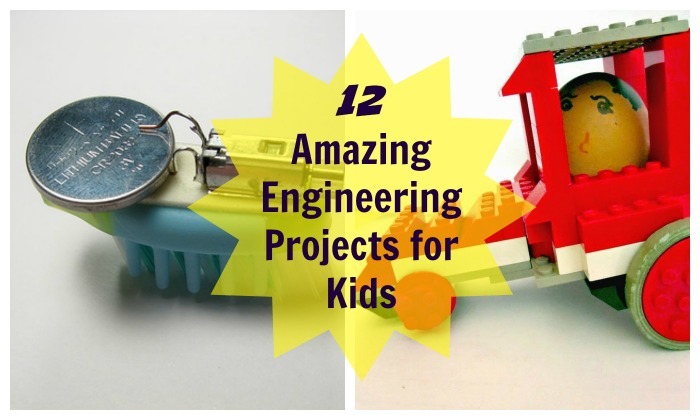 These are some amazing projects for kids to get them thinking. I love all of the ideas! Okay the toy parachute is ADORABLE. Love these ideas! My nephew is really into this stuff. He is smarter than me it seems. I love these ideas, they look like a lot of fun! I love the parachute idea. My little guy has a toy parachute that he loves, but lost. We'll have to build him a new one. High five to your daughter for wanting to be a mechanical engineer. Thank you for this round up of STEM projects, I want to go assemble my own floating boat now :) Sharing on K12's Pinterest for others to enjoy!